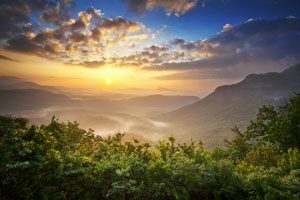 Browse mountain properties of NC today and be ready to relocate to this picturesque region tomorrow. The Mountain Group at Premier Sotheby’s International Realty proudly promotes select real estate markets of Western North Carolina. Our site contains an inclusive list of properties for sale in our area, featuring all price ranges, diverse locations, and a variety of styles. There is something for everyone, so to speak. We invite you to start your search by clicking here, or call and tell us what you’re hoping to find. Sometimes, we can cut down on the pursuit and cut right to the chase. An immaculate three level home with lots of natural light, wood flooring, and multiple decks; a charming custom-built house consisting of one-level living situated in a park-like setting; 100+ acres of timberland and newly fenced pasture with magnificent views, a spring, and convenient access to the Blue Ridge Parkway; these are listings that embody what North Carolina Mountain properties are all about. There is no cookie-cutter listing, not one category that deserves more attention than any other. You can either narrow your scope by putting in place specific parameters on our search function or discuss with us what you want and need, and we’ll provide you with a list of corresponding properties. Depending on how precise you are, your results may vary. An A-frame and a farmhouse could easily contain some of the same elements, landing them on your list. Maybe you’re set on the finer details of the home but open with what style house it is, in which case, you’ll have a healthy set of options from which to choose. Other potential buyers are so particular, their demands already limit them to looking at less than a handful of homes. We can work with either scenario or anything in between. 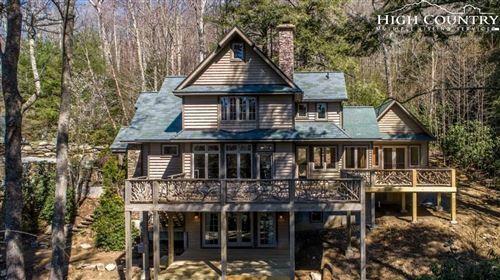 Let’s take a closer look at the mountain properties of NC right here.